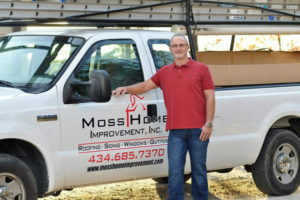 Chris Miller – Moss Home Improvement & Roofing, Inc.
Chris Miller is the owner of Moss Home Improvement and Roofing. Since 1970, Moss has provided excellent project management and superior homeowner care throughout north central North Carolina and south-central Virginia. Founder Marvin Moss made a name for himself with outstanding management of homeowner’s projects and an unequaled work ethic. 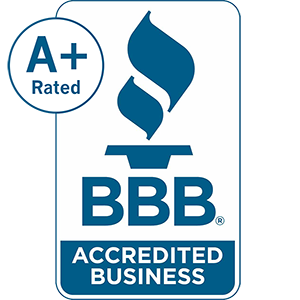 Customers continue to rely on Moss Home Improvement and Roofing to resolve problems, enhance curb appeal, and build lasting value into their homes. Chris Miller began working for Marvin Moss in 1986. He began as a gutter installer but worked tirelessly under Moss’ tutelage. By 2000 Chris Miller began managing estimates and outside sales for the firm. In January 2008, Chris Miller purchased the business upon Marvin Moss’ retirement. Chris Miller has maintained the founding principles of the firm with hard work, fair prices, and a sincere dedication to the homeowner. Chris Miller and his teams strive for excellence on every project. They are masters at their trades and know the hard-won solutions for keeping costs down and value generation high. Ask Chris Miller for a free quote for your specific project needs. Please complete the all-hours Inquiry Form or call 434-685-7370 during normal business hours. All inquiries go directly to Chris Miller.